NOTE: Don't be intimidated by the length of this run: you can also take the 401 bus directly to the park. Catch the bus at the Circle Line's Mountbatten Station (CC7). The line runs along the park service road for the almost the entire length of the park, from Fort Road in the west to the jetty in the east. And you can get back on the bus at many bus stops, for a ride home. With all the gigantic construction projects constantly sprouting up all over the Marina Bay waterfront in Singapore, it's nice that there's still a great shoreline run without any highrises and freeways: the East Coast Park. This park is the most relaxed hangout in the downtown area. This 8-km-long strip of beachfront park is a popular get-away for families, bicyclists, in-line skaters, fishermen, campers, divers, sailors and skate-boarders. Ooops, did I forget runners? Well, let's correct that one real quick. A paved bike/pedestrian path plies the whole park, and you can also choose to run along the sand of the many beach stretches. Of course, you can turn around at any time. Plan the length to fit your needs. 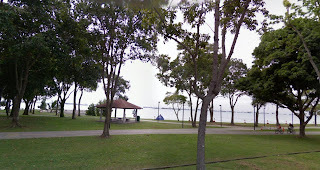 The park stretches from the east end of Marina Bay and goes out to Changi. The East Bay Parkway parallels the park the whole way, and the park is serviced by several bus-lines, if you want to ride out there (see note at top). The Marina Bay shore itself is changing so fast that you'll probably not be able to recognize half of it if you haven't been there in a few years. I expect that there will be a footpath there from the Marina South area sometime, but there's no way yet: just lots of construction. We'll start the run at the Stadium MRT Station (subway), just between the National Stadium and the indoor stadium. Run west to the bay, with the sloping roof of the indoor stadium to your left, then turn left at the water and run to the suspension footbridge going south. Run across the bridge. 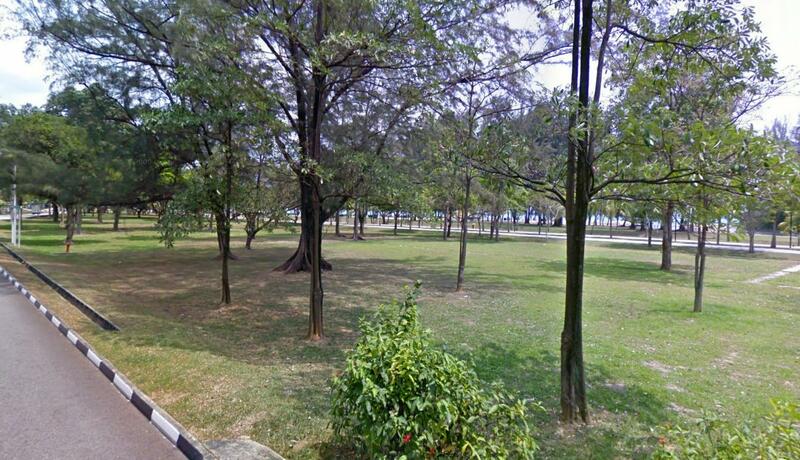 Then run straight through the open square for one block, where you come to Tanjong Rhu Road. Turn left here and run straight down the road for a kilometer. You'll pass the Singapore Swimming Club on the right side, and then come to Fort Road. 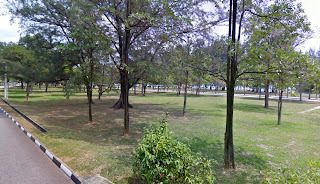 Turn right at Fort Road and run the one block towards the raised Parkway and run under it, straight into East Coast Park. You will quickly see the parking lot and the pedestrian/bikeway going off to the left. From now on, just follow the path as far as you feel. The whole park was built on reclaimed land, and the beaches are also man-made, but it's a great thing to have. 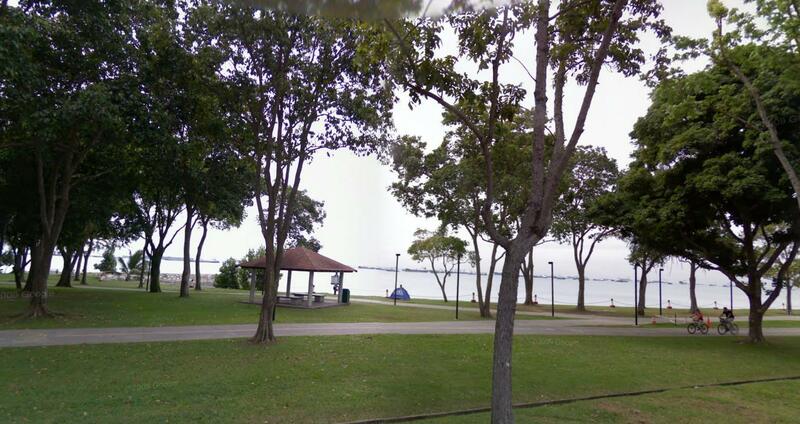 You'll run by a variety of activity areas spread along the shore. First comes a shopping center with playground, then a golf driving-range, then the Goldkist Resort, the Seafood Centre, etc. Make sure you also do some running on the softer beach sand. The Bedok Jetty (pier) is the fishermen's hangout, and has a good view when the air isn't too hazy. 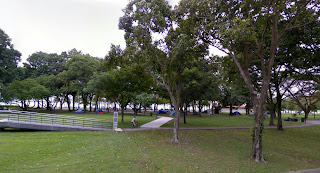 The campground and skateboard park are right next to the jetty. The Singapore Sailing Federation marina marks the end of the line in the east, and is the place to turn around. 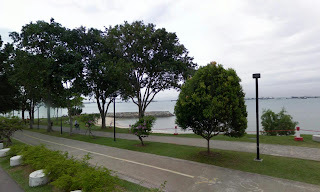 If you keep running eastwards from here, golf courses take over the waterfront, and then the Changi navy base. Turn around here and head back to the stadium the same way you came. Hi, would like to follow someone on this route. Do you know of anyone who will be running at ECP?